The lighting specialists at Lighthouse Outdoor Lighting are some of the best trained LED lighting designers in today’s industry. They have been serving the Santa Clarita Valley and the Los Angeles area for over five years and over 20 years nationwide. They know exactly how to produce lighting designs that have the custom tailored look you desire for your home and property. Their installation teams have the expertise and experience to install your lighting system to the highest standards with the least amount of landscape and property disturbance. On every installation, their goal is to leave your home meticulously clean, as though they were never there. Lighthouse Outdoor Lighting will come back to your home annually to clean and adjust your system to keep it working because they believe that the lighting that they install for you should look as just good 10 to 15 years from now. 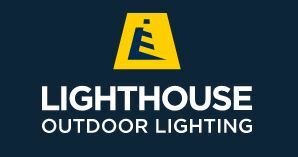 Lighthouse Outdoor Lighting designs and manufactures their fixtures and equipment to exceed the quality and standards of other lighting companies and to stand the test of time. They also provide full service and repair for clients who have gone through a different company for installation, but were not receiving the level of service needed to keep their lighting performing at the same level. Lighthouse Outdoor Lighting can even lower your electric bill because they specialize in low voltage lighting that uses 90 percent less electricity than standard lighting. Get started with Lighthouse Lighting with a free consultation and project evaluation with a professionally trained and certified architectural and landscape light designer who will meet you on site to evaluate your project at no cost to you. Lighthouse Lighting designers will then create a comprehensive lighting design for you, considering budget, timeframe, and impact to your property. Lighthouse Outdoor Lighting will then discreetly install your landscape lighting system with little to no visible impact to your home during installation. Lighthouse is the leader in developing and implementing new and innovative technologies in automation and lighting control. Homeowners choose Lighthouse for their amazing design, value, and because they have the best warranty in the industry. Major system components are covered for life with no charge service calls for three years. They pride themselves on their personal service, and a lead designer will walk you through the process from the conception of your project to the completion of your installation.